As you raise your children you will want to protect them in every way possible from things that can harm them. When you look around you may see a staggering list of things that you need to start protecting them from as they grow. Sometimes we are so worried about all of the big things in life so much that we forget to protect our kids on some of the seemingly smaller issues in life. One are that you do not want to forget to protect your child is their mouth. Humans are only given two sets of teeth to work with throughout our lifetime. If we do not take care of them properly we do not get more. You can make sure that you help protect your child’s teeth by having them use the correct toothbrush. There are many different factors that you will want to consider when you are choosing a toothbrush for your child. First you will want to look at the bristles. Toothbrush bristles are made of nylon or nylon-polyester blends. Different manufacturers make their bristles different shapes and sizes so choosing the right one for your child can be hard. If you have young children we recommend that you use a soft-bristled toothbrush. The soft bristles will help clean your child’s teeth and gum line while not being too rough on them. Using a toothbrush with hard bristles can be too hard on their gums while their teeth are still developing. In addition to having a choice in what kind of bristles you have in your toothbrush you can also choose what size and shape your toothbrush is. When you are down the toothbrush aisle you will see many different shapes and sizes of toothbrushes. Most manufacturers will have suggested ages right on the packaging for you. Use the age ranges on the packaging to help narrow down your options. If you purchase a toothbrush that is too large it will be uncomfortable for them to put in their mouth. You will want to consider whether or not your child will easily be able to hold the toothbrush. Other than that it does not really matter what shape and size you purchase. Let your child be a part of the decision. If you can make toothbrushes seem fun and exciting your child will be more likely to use them. If your child wants their toothbrush to be a crazy shape or color go ahead and let them. There is also the option of electric toothbrushes for children. You do not want to get them an adult electric toothbrush. There is indeed a difference in children’s electric toothbrushes. Adult electric toothbrushes will be too large and pulsate too hard for children. Electric toothbrushes are a great option for kids. Even more important than what type of toothbrush you purchase is the fact that your child regularly uses their toothbrush. If you start getting your child in the habit of brushing their teeth while they are young it will be second nature for them. As they get older their teeth will be healthy and strong if they have always taken care of them correctly. In addition to brushing you will also want to start taking them to the dentist when they are young. Smile Reef recommends that you bring your children in as soon as they start getting teeth so that they can get used to the dentist. 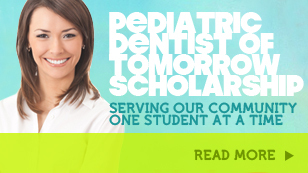 Contact us to schedule your child’s next appointment today!